Sudanese police seized 15 tonnes of hashish in Omdurman, the twin city of capital Khartoum, in one of the biggest hauls reported in recent years, state media reported Tuesday. The operation that also saw police seize 80 million meth pills occurred in a western part of Omdurman on Monday, General Hussein Nafia, chief of anti-narcotics police, told the official SUNA news agency. "It's one of the biggest hauls in the country. This is the work of an international network," he said, without saying if any arrests had been made. Sudanese Prime Minister Mohamed Tahir Eila on Tuesday visited a police building in Khartoum where the seized drugs were put on display. The latest drugs bust is the biggest in the country since 2017 when 19 million tonnes of hashish was discovered in conflict-wracked Darfur. 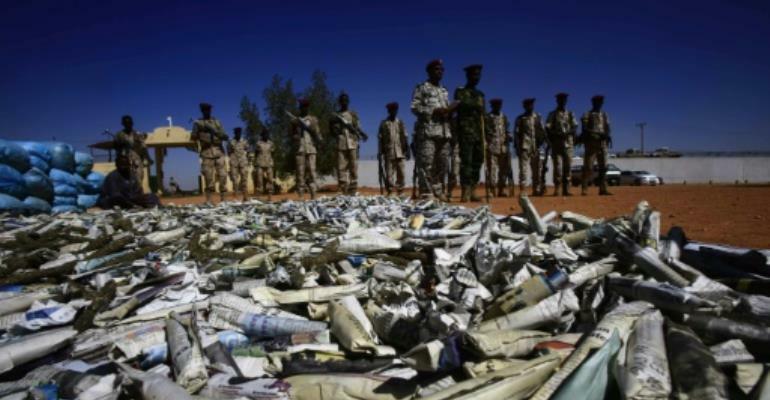 In recent years the Sudanese media have regularly reported security forces seizing hashish and other narcotics. Officials have acknowledged an overall rise in drug trafficking and consumption across the country over the past few years, especially among young people.